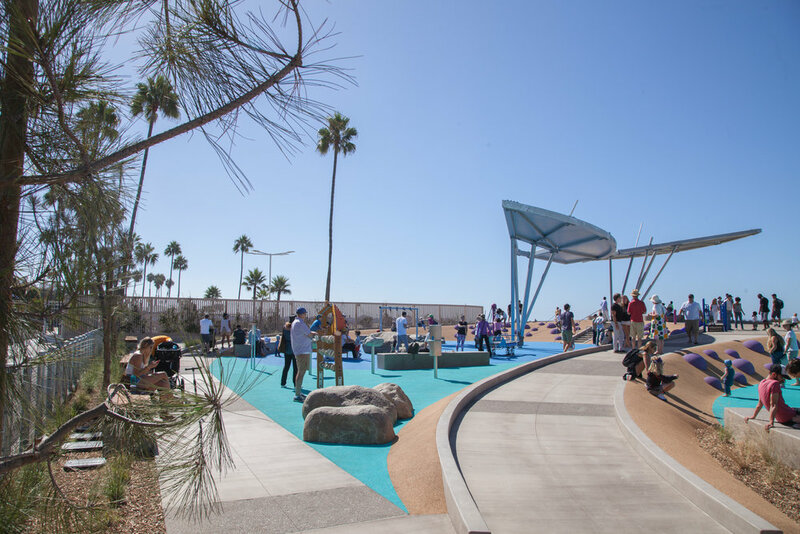 Opened on September 15, 2018, this is Santa Monica's third universally accessible playground (others are South Beach playground and Ishihara Park playground). 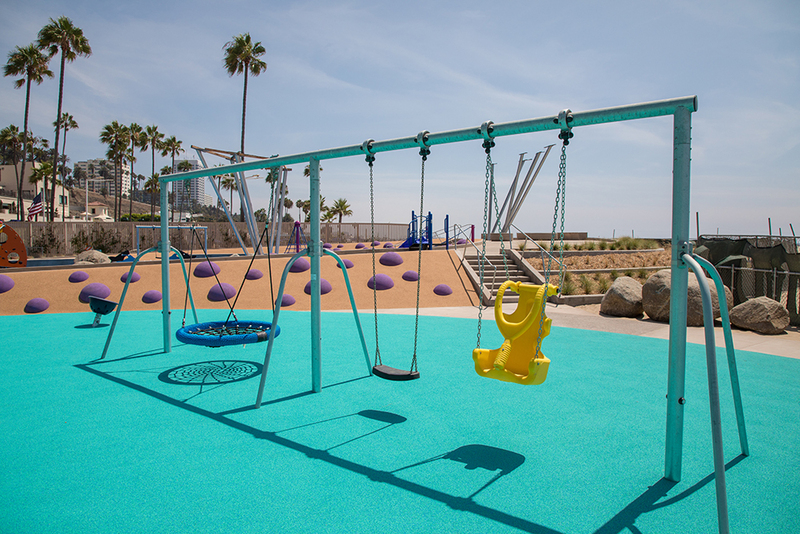 The North Beach playground includes separate play areas for children 2–5 years old and another for children 5-8 years old. 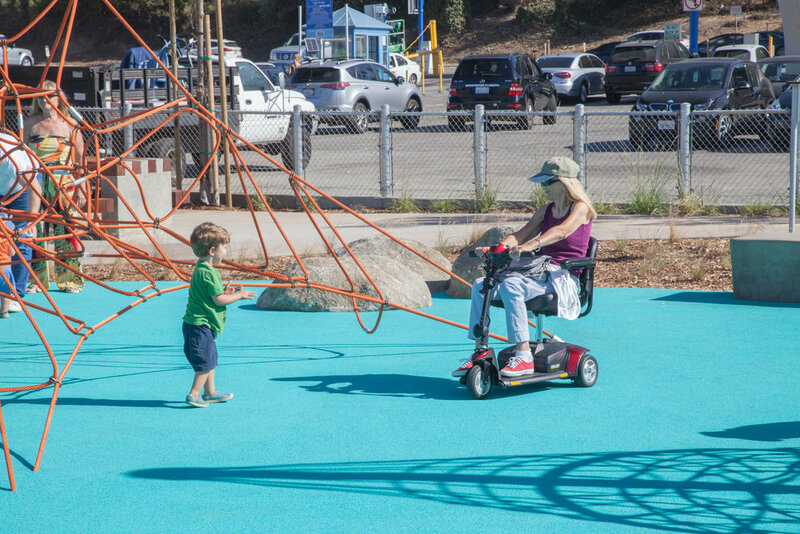 Universally accessible playgrounds include barrier-free equipment, increased maneuvering space, and accessible surfaces and paths. 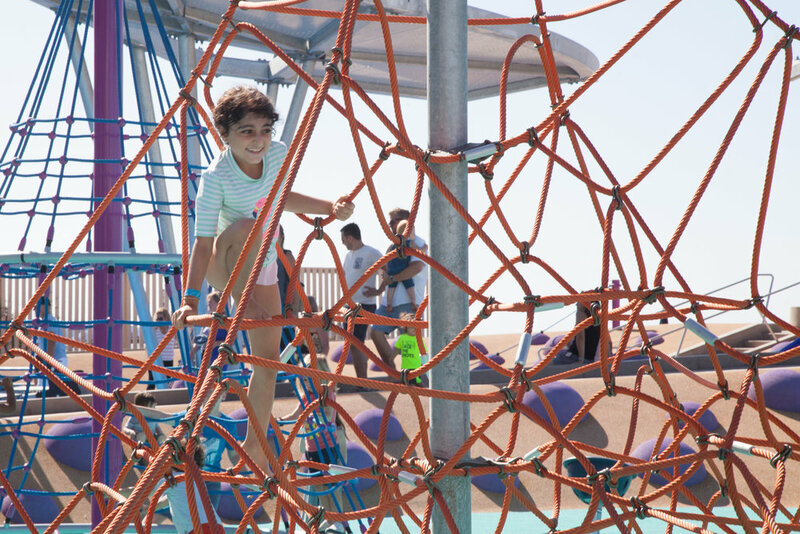 Sensory play elements such as touching, feeling, and hearing are utilized as well as swings, slides, and climbing equipment to inspire activity, mobility, and imagination in all children. North of the Pier and east of the beach trail at Montana Ave. Close to restrooms, parking, and a pedestrian overpass connected to Palisades Park. Adjacent to the 810 Pacific Coast Hwy Lot. Lot is accessible to southbound traffic.